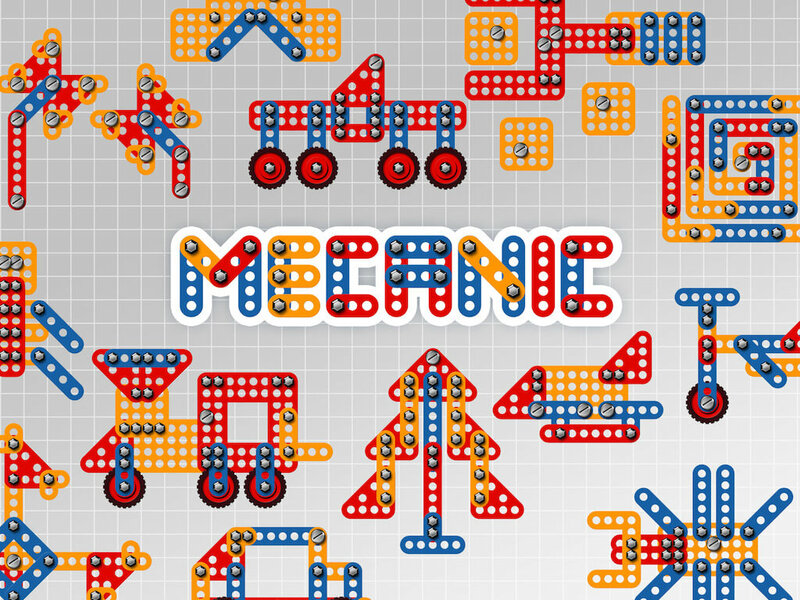 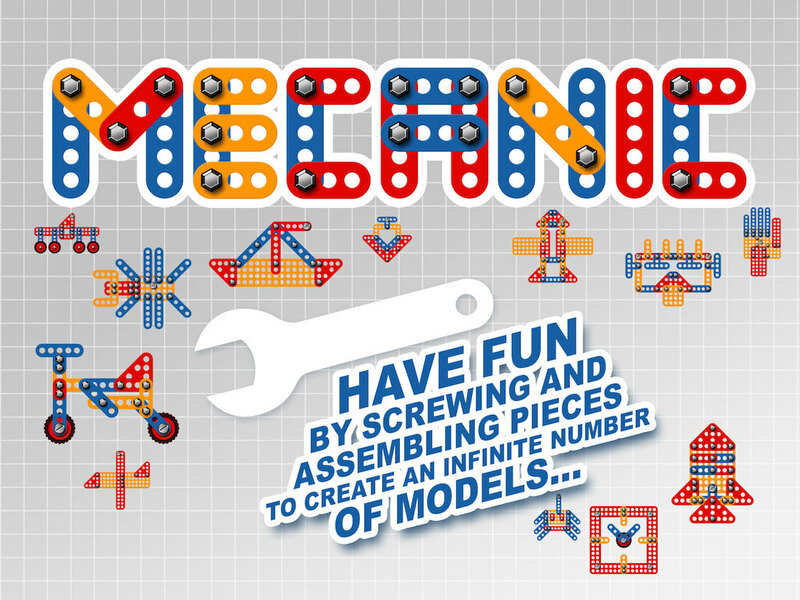 For more realism, the game manages ‘GRAVITY’… The bigger pieces will drive smaller ones around created fixing pins. 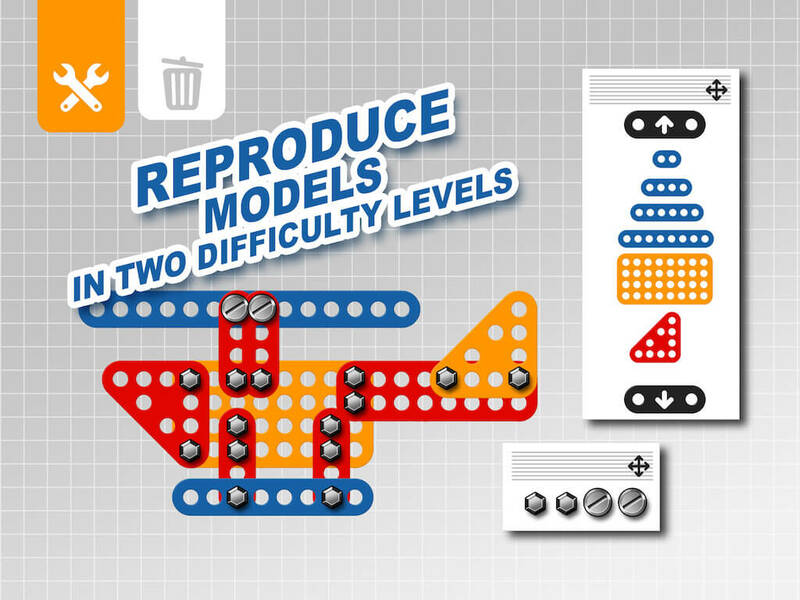 More than 50 models are available in two levels of difficulty (easy and hard). 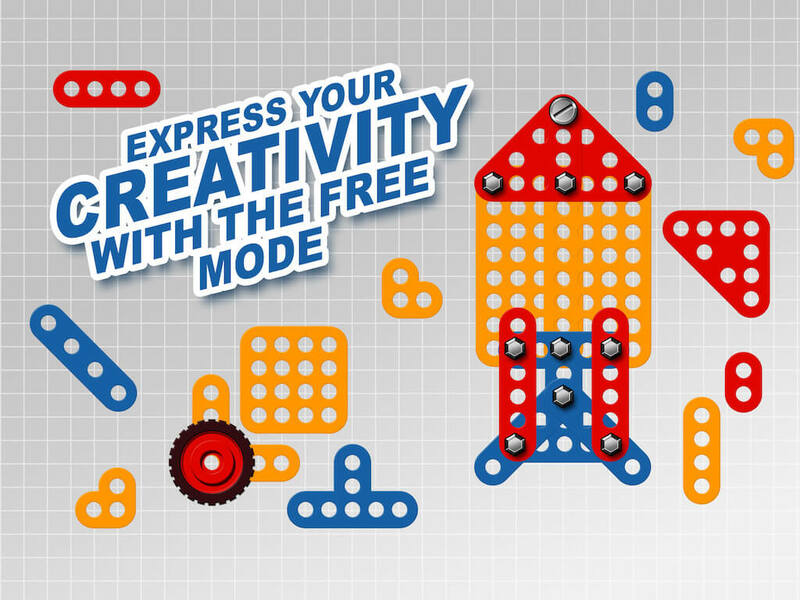 In free mode, kids can access all pieces, so they can experiment all their ideas in a world subject to gravity.